"We get our first peek at the latest poster the next James Bond installment"
Actor Daniel Craig is back as James Bond for his fourth mission and Skyfall director Sam Mendes is back in the director's chair for the latest adventure, Spectre. According to The Hollywood Reporter, they have a first look at the newest poster for the British spy's next assignment, which can be seen below. 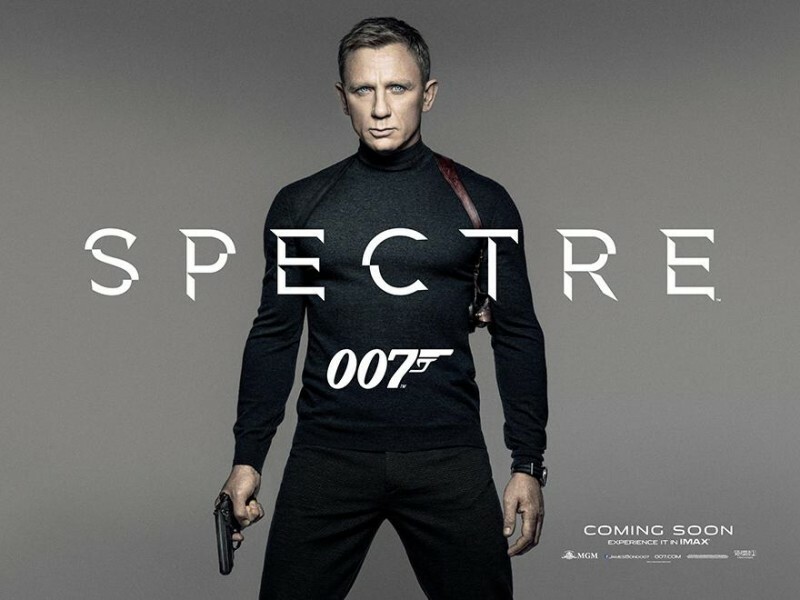 Spectre will be the 24th Bond, which follows the box office and critical success of Skyfall, which earned $1.1 billion worldwide, making it the second-biggest film of 2012 behind The Avengers. The film is slated for a Nov. 6, 2015 release and also stars Christoph Waltz, Lea Seydoux, Naomie Harris and Dave Bautista. Plot details have been kept top secret for now, but if it's half as good as Skyfall, we are in for quite the thrill ride, along with strong characterizations. Let the spy games begin!